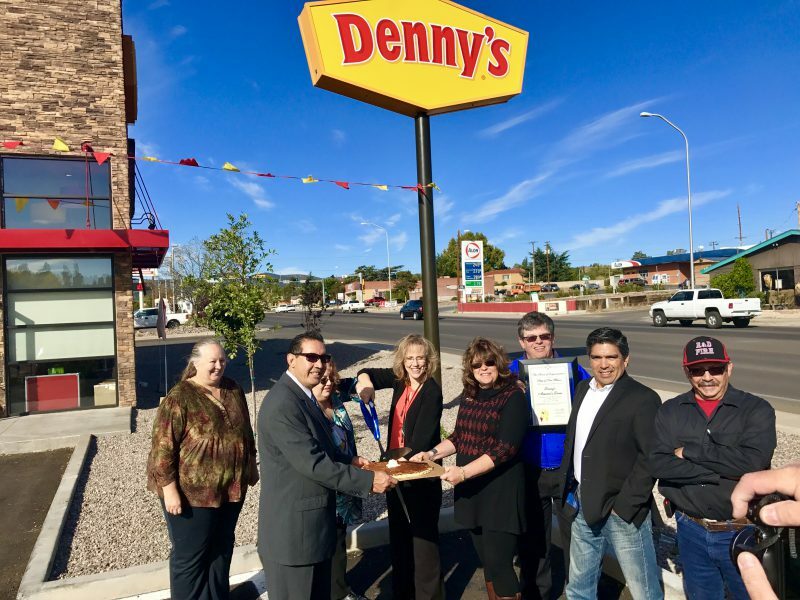 The Silver City/Grant County Chamber of Commerce hosted the official “Denny’s Grand Opening Celebration” today in Silver City. Rather than cutting the traditional ribbon, a giant pancake was sliced in celebration of the special occasion. Denny’s will be featuring “Grand Opening” specials and giveaways throughout the day. The restaurant is located at 708 Silver Heights Boulevard, in Silver City.